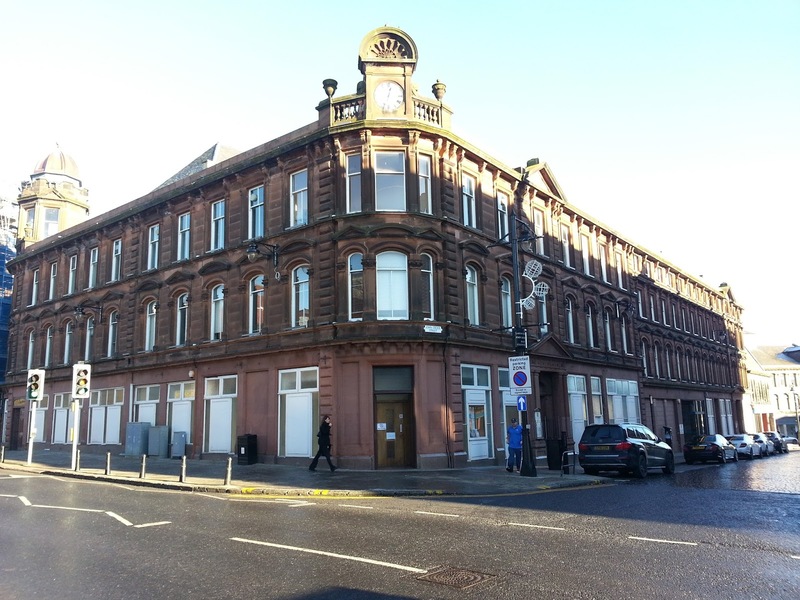 Hugh Watson reports - In July 2017 Andy Colvin East Ayrshire arranged a visit to the Cooperative Hall which is part of East Ayrshire Council North Civic Centre in John Dickie Street Kilmarnock. 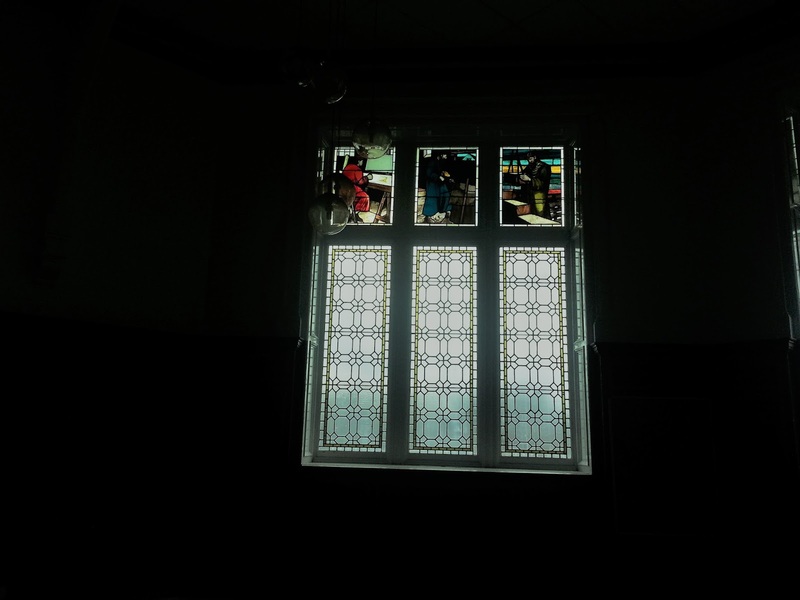 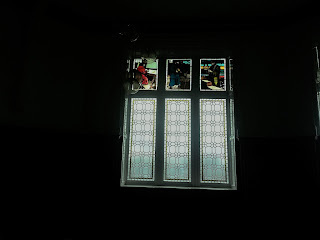 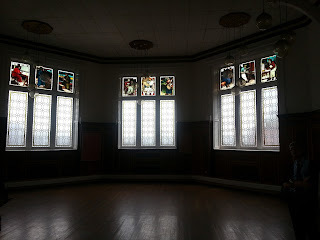 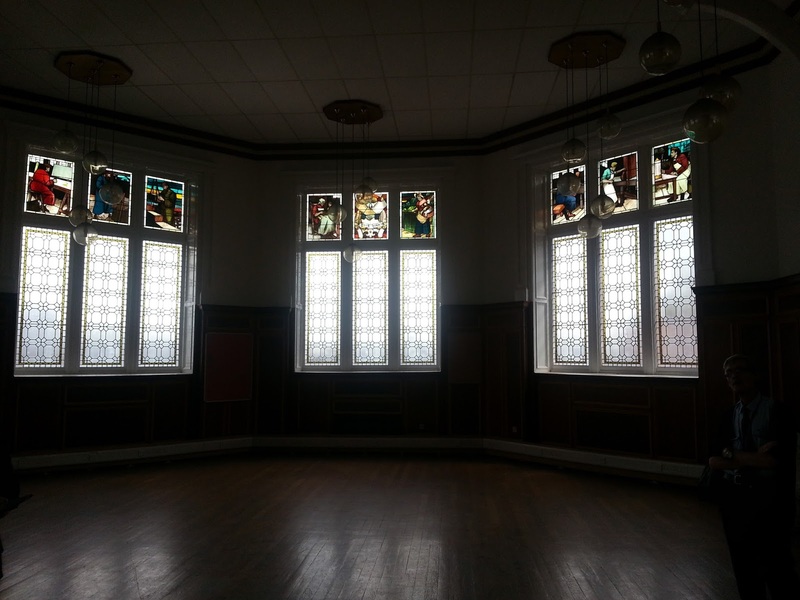 The inside of the Hall has been well maintained by the Council especially the rich varnished wood paneling and the fine Stainedglass Windows which show a variety of Cooperative activities such as Boot and Shoe Making,farming,building and textiles as well as serving the Public. 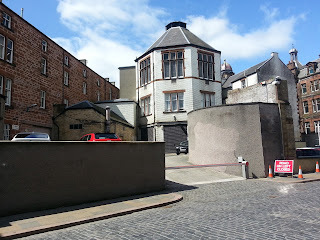 The attached pictures of the outside of the Hall which can be seen from the Strand and outside Johnnie Walker Bond and a shot of the frontage taken from John Finnie Street. This is a grand old building designed by Gabriel Andrew and built in John Finnie Street in 1879/80.